WASHINGTON — The top 1 percent of earners would reap the lion's share of benefits under a new tax cut proposal unveiled by President Donald Trump and congressional Republicans this week, according to analysis by the non-partisan Tax Policy Center released Friday. The estimates, which congressional Republicans criticized as unfounded, starkly contradict what the president and White House officials have been telling lawmakers and the public. 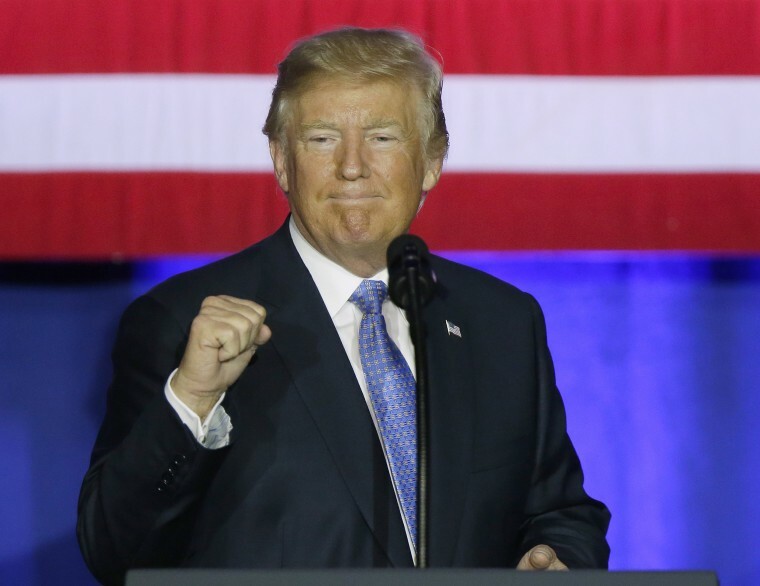 “By eliminating the tax breaks and special interest loopholes that primarily benefit the wealthy, our framework ensures that the benefits of tax reform go to the middle class, not the highest earners,” Trump said Friday at an event aimed at small business owners. "Wealthy Americans are not getting a tax cut," White House economic adviser Gary Cohn told ABC this week. But the top 1 percent would see their after-tax income rise by 8.5 percent in 2018 and 8.7 percent in 2027, the analysis shows. Benefits for the bottom four-fifths of earners would range from five-tenths of a percent to 1.2 percent in 2018 and from two-tenths of a percent to four-tenths of a percent in 2027, the study found. The top one-tenth of wealthiest earners would fare even better — enjoying an average tax cut of $722,510 in 2018 and $1,022,120 in 2027. In that final year, 80 percent of all benefits would go to the top 1 percent, and taxes would rise for some upper middle class families — many of those making roughly $150,000 to $300,000 per year — because of the plan's repeal of itemized deductions. Overall, the government would take in $2.4 trillion less in revenue over the next decade, the center's study said, ballooning annual deficits and the nation's cumulative debt. Senate Republicans unveiled a budget Friday that projects accommodating the tax cuts with just a $1.5 trillion increase in deficits — a $900 billion difference. House and Senate Republicans still haven't written legislation that would implement the tax plan. Before they do that, they will try to pass a budget through both chambers that paves the way for the Senate to consider tax cuts through an expedited "reconciliation" process that requires just 50 votes. Texas Rep. Kevin Brady, the chairman of the House's tax-writing Ways and Means Committee, slammed the Tax Policy Center's findings Friday. "This so-called study is misleading, unfounded, and biased. TPC makes a variety of overreaching and unrealistic assumptions about policy decisions members of Congress still have to make as we draft pro-growth tax legislation," Brady said in a statement sent to reporters. "Republicans are unified in delivering tax reform that will lower taxes on middle-class Americans, ensure they are able to keep more of their hard-earned money, and grow our economy. We will deliver on this promise and our bill will improve the lives of all Americans." CORRECTION (Sept. 30, 9:50 a.m.): An earlier version of this article misattributed a statement criticizing the Tax Policy Center's analysis. The statement was from Rep. Kevin Brady, not his spokesperson Emily Schillinger.